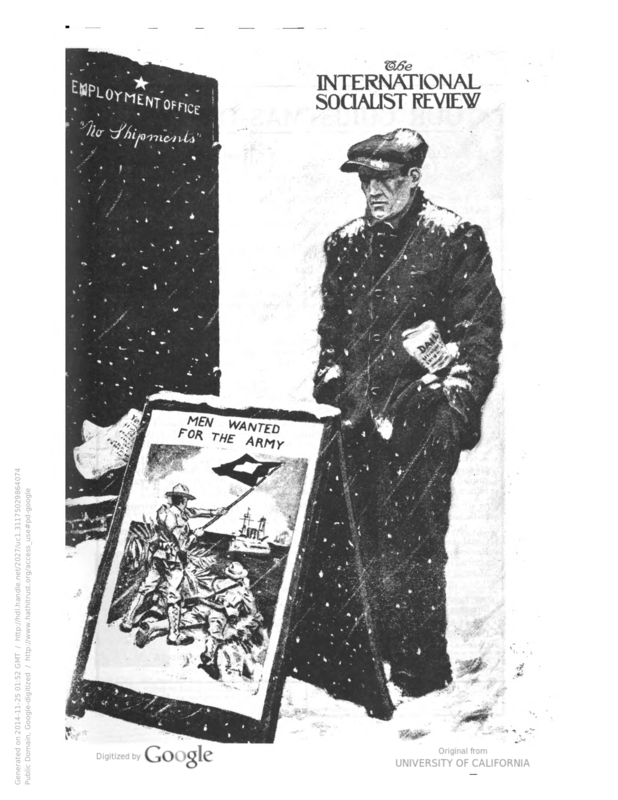 100 Years Ago: International Socialist Review and Mother Earth | Criticism &c.
The war impacted the anarchist movement as well as the socialists. Peter Kropotkin sided with Russia against the Central Powers. 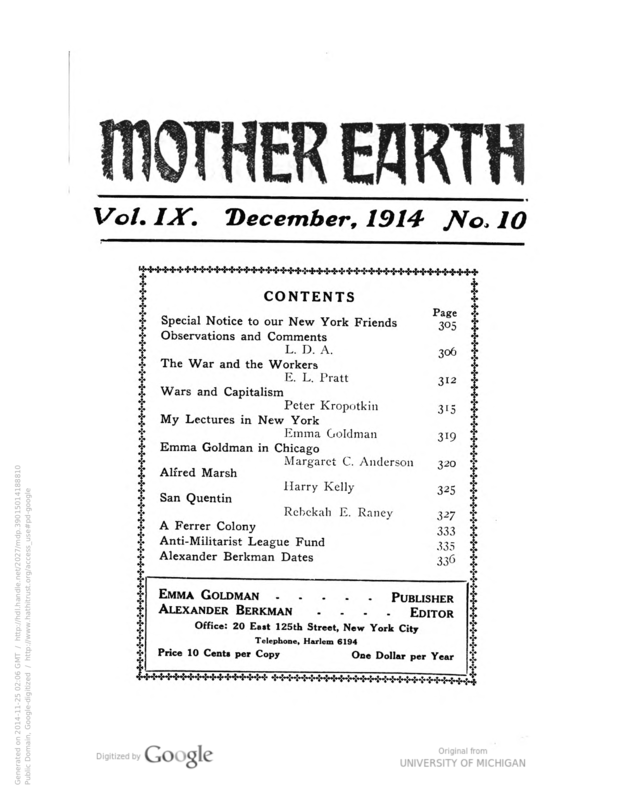 This issue of Emma Goldman’s Mother Earth Magazine carried the second part of a serialization of Kropotkin’s “Wars and Capitalism” (1913) in an attempt to rescue the Russian anarchist’s reputation from himself. Goldman and Berkman published a piece by Kropotkin (“Kropotkin on the Present War”) outlining his pro-war view in the previous issue of the magazine, followed by a critical comment by Berkman. Full runs of both journals can be viewed in the HathiTrust Digital Library. This entry was posted in 100 Years Ago, Scanned Texts and tagged Alexander Berkman, Anton Pannekoek, Charles H. Kerr, Emma Goldman, International Socialist Review. Bookmark the permalink.